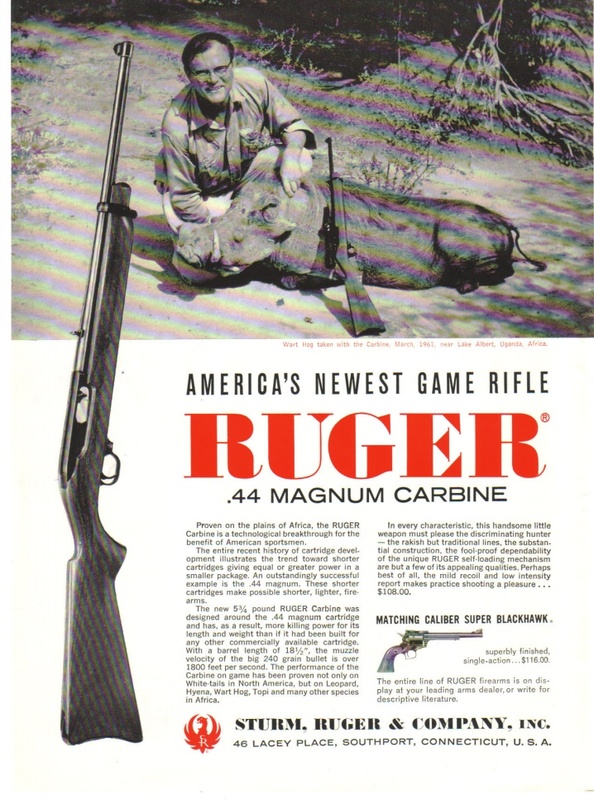 Category Archives for "Hunting Gear & Products"
I miss shots just like everyone else. Mostly, I miss difficult shots, but I’ve missed some easy ones, too. Nobody is perfect, and any hunter who claims never to have missed simply hasn’t hunted very much. It takes years to become truly proficient and absolutely confident with a rifle when difficult, fast-breaking shots on game are presented. On the other hand, you don’t have to start out by missing everything you shoot at. Here are 12 simple tips that I promise will make you a better field shot – whether you’re a beginner or an old pro. Few of us admit it, but the recoil and muzzle blast from a centerfire rifle is unpleasant. Both are necessary evils when hunting big game, but you don’t have to put up with the blast and kick all the time. The best way I know to become a really good rifle shot is to spend lots of time with a .22 rimfire. The report is mild, recoil is nonexistent, and you can do lots of shooting for little money. 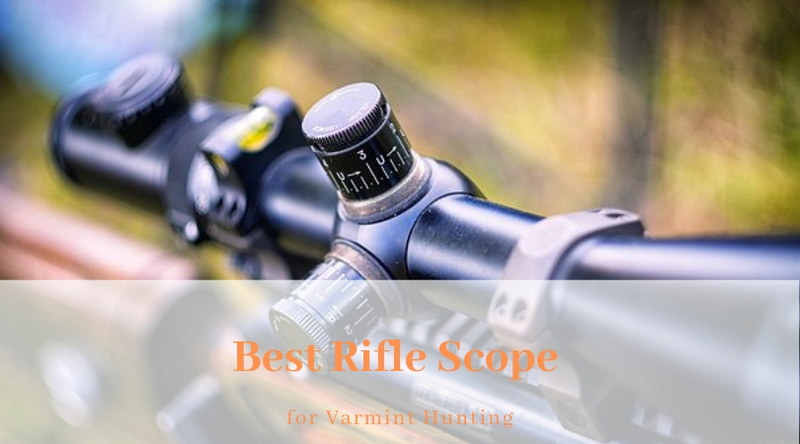 Whether plinking, target shooting or hunting small game and varmints, a .22 rimfire offers the best refresher course in rifle shooting there is. It’s a good idea for any rifleman to spend some time with a .22 during the off-season, but a .22 is also the best tool available for curing shooting problems such as flinching. It will also reinforce such basics as trigger squeeze, breath control and follow-through. Jerking the trigger is one of the great ills in rifle shooting, and it is an easy habit to fall into. 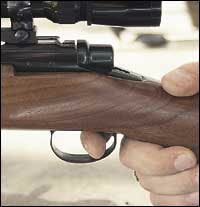 The idea is to apply steady, consistent, gentle pressure until the trigger “breaks” and the rifle goes off. 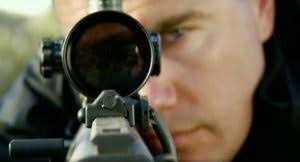 Marksmanship instructors stress that the rifle’s firing should come as a surprise, meaning that you must not anticipate the shot. Of course, if you shoot the same rifle long enough, you will know when the rifle is going to fire. The secret is to ignore this knowledge and still not anticipate the shot. Proper trigger control is much easier with a clean, crisp, fairly light trigger. 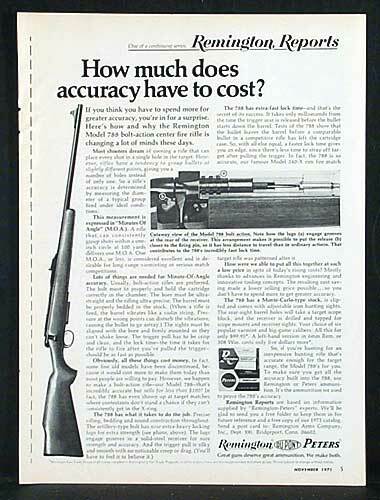 I don’t like an extremely light trigger on a hunting rifle; for me, a trigger pull of 2 1/2 to three pounds is about right, maybe a bit more on a big-bore rifle intended for dangerous game. These days it is rare to get a trigger pull like that on an out-of-the-box rifle. 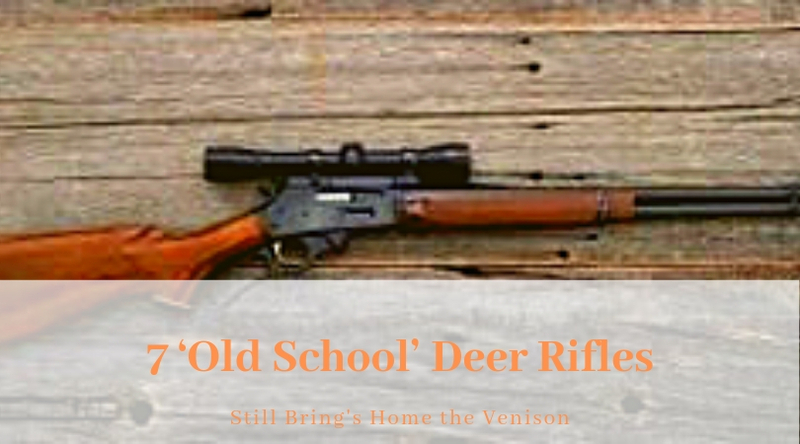 On rifles that allow for trigger adjustment – or replacement with an aftermarket trigger – the best course is to take the rifle to a good gunsmith and tell him you want a decent trigger pull. 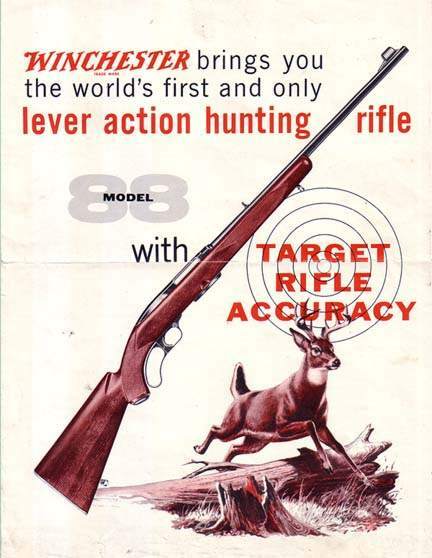 This may not be affordable, and in the case of most lever actions, semi-autos and pumps, it may not even be possible. Don’t despair. You can learn how to control even a terrible trigger, but it takes a lot more practice. Proper trigger control is paramount to good shooting. And since lighter triggers are easier to control than heavy ones, have yours adjusted or replaced by a gunsmithif possible. Trigger control may be even more difficult if you use a variety of rifles, some with great triggers and some with poor triggers. You cannot shoot well while inhaling or exhaling; it’s imperative to hold your breath while squeezing the trigger. Take a deep breath, let part of it out, and then commence your trigger squeeze. This is not so easy when you’ve just climbed to the top of a steep ridge and a huge buck bursts from cover, so it is an act that must be practiced until it becomes second nature. There’s more to proper breathing technique. When I miss, it is usually because I rush the shot. Once in a while, you have the luxury of unlimited time, but more likely you have just a few seconds to get into position and shoot. Sometimes you have no time at all; you must either shoot now or forget it. If there really is no time to make a proper shot, don’t take it. 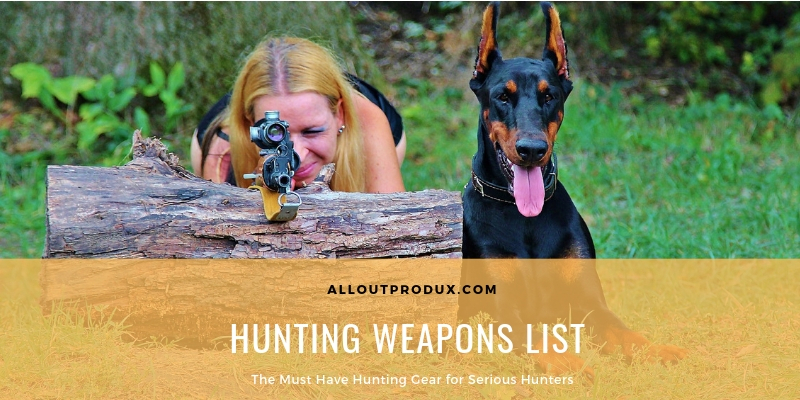 That said, the best possible situation is to take a few extra seconds and take a deep breath – maybe two or three if you’ve been exerting yourself – before you let out part of that last one and start your trigger squeeze. Tiny groups mean little in most field shooting situations. If you can consistently hit a pie plate at a given distance, you will get your animal. On the other hand, consistent game shooting is a matter of confidence, and there’s no better way to gain this confidence than to know that your rifle shoots far better than you do. I don’t want to go into the field with merely pie-plate accuracy; I want a whole lot more. It is not essential that your rifle shoots quarter-inch, half-inch or even one-inch groups, but it is essential that you really know what you and your rifle are capable of under ideal conditions. This will build confidence and let you know what you can and cannot attempt in the field. Spend some time shooting across a solid bench rest with good ammo, and really get to know your rifle. One of the most important skills in good field shooting is the ability to find and use a solid rest quickly. Chances are you won’t find any bench rests in game country, but there are lots of ways to achieve a solid rest – rocks, stumps, trees, mounds of dirt, whatever. 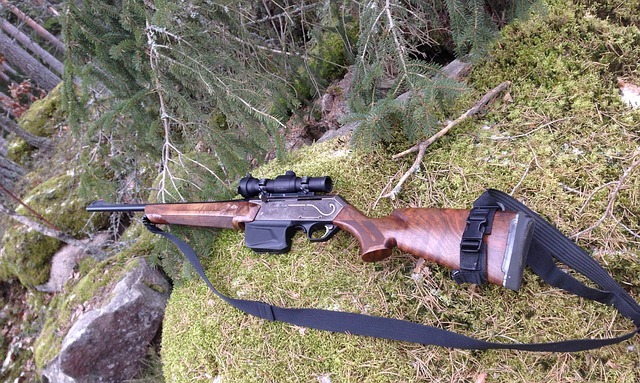 In open country, you can carry your own rest such as a bipod, shooting sticks or a pack frame. You may have to bend your body like a contortionist to snuggle behind your chosen rest, but if it is good and solid, it will be better than any unsupported position. Never rest the barrel directly against a solid object, and you should always cushion the fore-end by placing something between the rest and the rifle. I almost always carry a daypack, which I place over whatever natural rest I can find. You can use a fanny pack, a rolled-up jacket, a scrunched-up hat – or even your hand if time is short. Skilled riflemen practice with their guns and have confidence not only in their rifles, but in their shooting ability as well. The trick is learning how to recognize a potential rest and then learning how to drop into position quickly. 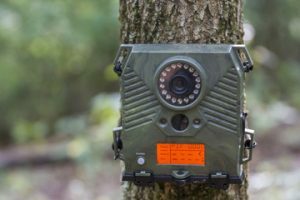 This comes with experience, but it is possible to practice the skill during informal shooting sessions, small game, and varmint hunting, and even in your backyard or living room (with an empty rifle, of course). In open country, I am quite fond of bipods, and crossed shooting sticks are also effective. Both require practice to use well. If you choose a bipod, be sure to check your rifle’s zero with it mounted on the gun; some rifles shoot differently with a bipod attached. A solid rest isn’t always available, and sometimes it’s necessary to shoot from the prone, sitting, kneeling or even standing position. None of these positions come naturally and all require practice. So practice each and every one of them. This can be done at home or on the range. I generally combine most shooting positions with a tight sling – once in a while a genuine target sling, but almost always a hasty sling. The hasty sling is assumed by wrapping your supporting arm through the sling so that it tightens across your chest. A sling is a great shooting aid, especially in unsupported shooting positions. I recommend it highly but, like everything else, you must practice until its use becomes second nature. I made the shot on my biggest pronghorn from about 250 yards. While the distance wasn’t spectacular, I was pinned down in the shade of a big yucca with absolutely nothing to rest on or against. The buck was slowly angling across my front. While he was behind a bush, I undid the rear sling swivel and made the two-claw sling into a target sling. Then I eased into a crossed-leg sitting position. I shot the buck on the point of the on-shoulder; had I not known how to get into a real sitting position, I’m not sure I could have even gotten a shot. Never forget it’s the bullet that does the work. Today’s bullets are better than ever, but rifles are finicky creatures, and some have strong likes and dislikes regarding bullets and loads. 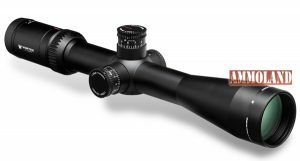 You may have to make a compromise between the bullet you really want to use and the bullet that shoots the best in your rifle. You want adequate accuracy, but on game, you also want the right performance. Larger game requires a tough bullet that will penetrate. On deer-size game, you want more expansion. This means that the “super-premium” bullets, which are usually tough, controlled-expansion designs, may not always be the best choice for deer. 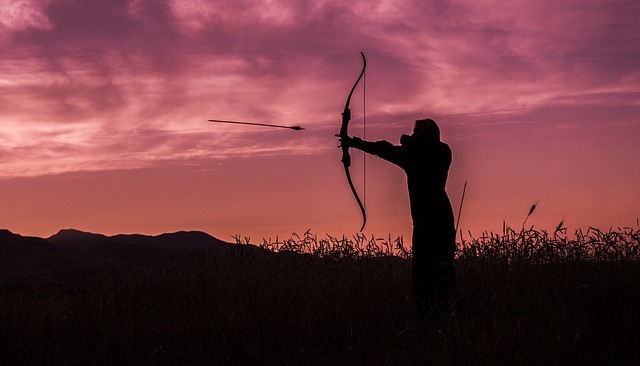 Use your head, and spend enough time on the range to be sure that your chosen load delivers enough accuracy for the game and country you plan to hunt. 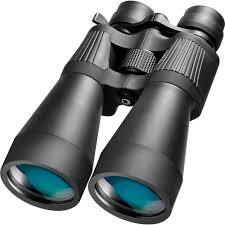 If you travel a significant distance, you should always check your zero before you start hunting. It doesn’t matter whether you travel by plane, train or truck. None should affect the zero of a well-mounted scope, but things happen. It is good insurance to check one last time. This is especially essential if you make a significant change in elevation. On lengthy hunts, it is also a good policy to check your zero every few days. Carrying a rifle in rough country can be hard on it; horseback hunts are even tougher, and banging around in a truck is possibly toughest of all. While it is unlikely that the rifle has gone out of zero, it’s always best to be sure. Just recently, after nine days of tough hunting, we finally found the bighorn ram we were looking for. He was a long distance away, so before starting the stalk I took a rest and fired one shot at a rock. The rifle was fine, as I’d expected it to be, but it was worth the cartridge to know. Along the same lines, if you miss a shot that you don’t think you should have missed, check the rifle immediately. Chances are it was you – and that’s okay – but you have to know. Otherwise, your confidence will be shaken even worse when you get another chance. Obviously, you want the best shot you can get, but there is a fine line between waiting for a better shot and dawdling away an opportunity. The perfect broadside presentation is rare. 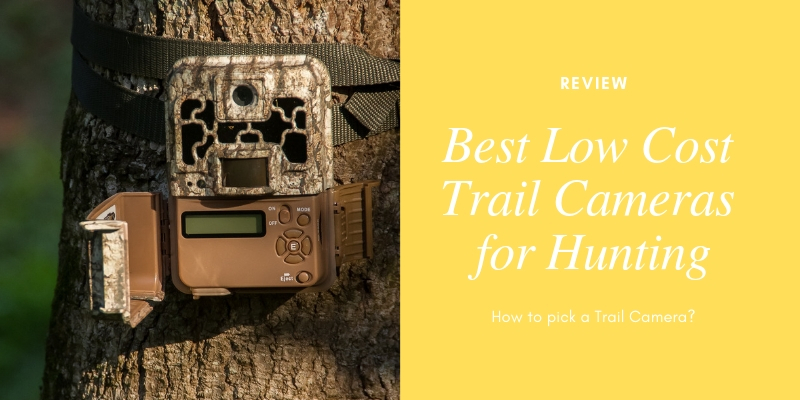 You certainly don’t want to take a going-away shot on an unwounded animal, and straight-on shots are almost as tricky, but you may have to accept some degree of quartering angle. And while it’s preferable to avoid shooting through brush, sometimes it’s unavoidable. In short, if you wait too long for the perfect shot the animal can simply walk out of your life. 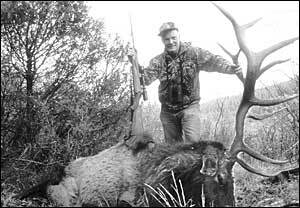 Two seasons ago, Jim Davis and I got the drop on two Tule elk bulls down in a little ravine about 125 yards below us. The wind was strong in our faces and the elk were facing away, completely unaware. I had the shot, but I didn’t want to shoot down through the backstraps. 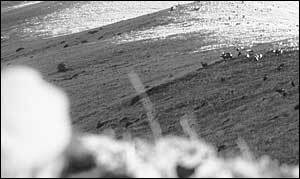 I rested the rifle over my pack and waited. The smaller of the two bulls took a couple of steps, then laid down. Oops. The bull I wanted would almost surely do the same, so a perfectly acceptable shot was quickly going to get worse. My bull took about three steps forward, then started to turn to the left, probably preparing to bed. As soon as he turned enough to give me a quartering shot, I fired. The bull walked about 10 steps and fell over. This principle also applies to close the range. The old adage of “get as close as you can, then get 10 yards closer” is a good one – but only to a point. I would much rather shoot a bit farther from a steady rest at an undisturbed animal than run the risk of bumping it. I recommend avoiding head, neck and spine shots like the plague. There’s little margin for error and a great likelihood of a wounded and lost animal if you don’t do them just right. I believe in the good ol’ heart/lung shot. The target area is the largest and most forgiving, and a good bullet placed in this area will be quickly fatal. This area is also the easiest to visualize when the animal is quartering one way or the other. What he meant was that, after firing at game, Americans would often watch to see what happened rather than prepare for a second shot. That’s a huge mistake because the second shot could well be as important as the first – maybe more so if the first one wasn’t a clean miss. Sooner or later, a hunter will screw up his first shot. 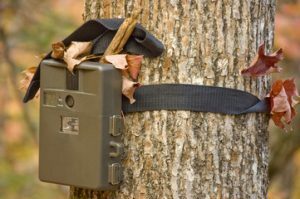 When this happens, the only thing between you and a long tracking job – and maybe a lost animal – is quick work with the second shot. I’m not advocating filling a heart- or lung-shot animal full of more holes. There’s a fine line between letting the first well-placed bullet do its work and making the horrible mistake of not shooting again when it’s necessary. On large and tough game there should be no hesitation whatsoever. If the animal is still standing, shoot again. If he’s down, keep your rifle on him for a time, then approach with caution and keep your approach as clear as possible so you can shoot again if he starts to get up. On dangerous game, always fire the insurance shot and approach carefully from the rear. On medium-size, non-dangerous game, reload immediately and be ready. 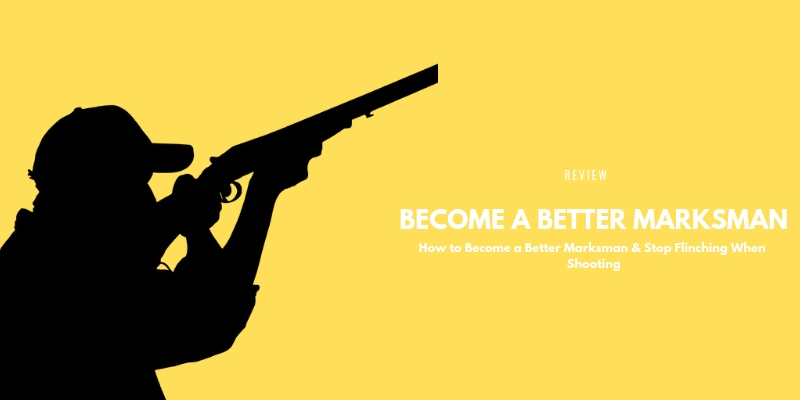 If you have the slightest doubt about that first shot, shoot again. One mark of a truly skilled rifleman is that he knows exactly where his bullet went. He knows whether it went high, low, was too far back or was a perfect heart/lung shot. Determining where the shot went–and being able to admit it to yourself instantly–helps determine whether it’s necessary to shoot again. There are other good reasons for learning to call your shots. When you mess up, the only way to avoid the same mistake is to know exactly what you did wrong. If you don’t know precisely where the sight or crosshair was when the trigger broke, then you weren’t as steady as you should have been. Period. 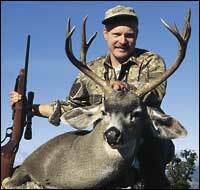 You cannot learn to call your shots while firing at a deer or two every fall. It’s a matter of lots and lots of practice from all positions. 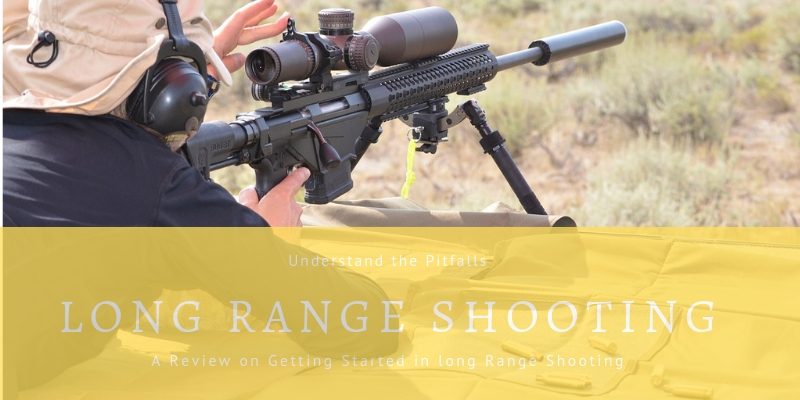 Following through is a necessity for the rifleman; you must concentrate on the target and keep the rifle under control – as well as you can – when it goes off. If you’re handling your trigger right, the report and the jolt of recoil may come as somewhat of a surprise, but you should know exactly what the sight picture looked like when this occurred. Until you develop this skill, you won’t be able to improve your shooting. Shooting at game is not a perfect science, but if you’ve practiced diligently and paid attention to these simple tips, you can usually make the shot. All of us will miss, and misses are okay. Try to learn from it – and try very hard not to make a habit of doing it. 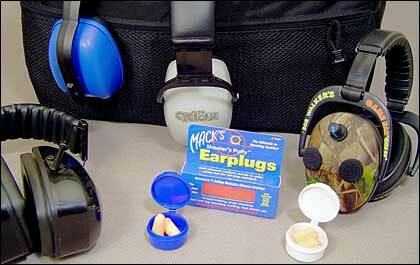 Whether you use foam plugs or high-dollar muffs, protecting your hearing is the most important aspect of shooting. Here are some tips and suggestions that’ll help you find protection that gets the job done. When so many options available in hearing protection choosing which best suits your needs can be difficult. Some basic guidelines and careful shopping can help ensure you choose wisely. If the number of hearing protection products on the market today is any indication, shooters are taking their hearing seriously and the next generation of seasoned veterans of the sport will be less likely to suffer the hearing loss common with current and past generations. There are a staggering variety of products to choose from and deciding which is best for your needs can be confusing. It doesn’t have to be. Electronic muffs are not just for the range. Under field conditions they not only will protect your hearing but enhance it to allow you to better hear the approaching game. You can narrow your choices down considerably by giving some thought to what your needs are and under what conditions you will use the protection, and, if you are like most of us, what your budget allows. Then you can do some comparison shopping online and at your local gun shop to determine which models offer the best quality and features for the price. Your hearing is important, so don’t just grab the first or cheapest product you come across. All hearing protection is not created equal. The protection afforded by hearing protection is gauged by a numerical Noise Reduction Rating (NRR). Some earplugs are listed with ratings as high as 30 or better, which rivals the ratings of most muffs on the market. That looks good on paper and may be relevant in work environments where noise is constant but it doesn’t pan out at the shooting range. Earplugs are simple and economical and can be quite effective when properly used. 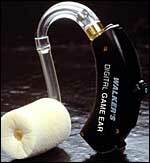 They also can be worn in conjunction with earmuffs to further protect your hearing. A quality set of earmuffs properly fitted will baffle the blast of a gun better than earplugs. Nonetheless, a good set of plugs beats a poor set of muffs every time. Poor quality muffs often lose their seal over time and leak, which allows more noise into the ear, whereas plugs, being economical and disposable, are regularly replaced and always effective when used correctly. The advantages quality earmuffs have over plugs are many. Muffs are easily removed when the range goes cold and quickly replaced when fire is resumed. Plugs take more effort to ready and you have to wait a bit for the foam to expand and seal. When you throw electronic earmuffs into the mix, it’s no contest under most shooting conditions. The only advantages left to earplugs are they will fit handily in your pocket and may be more comfortable to wear for long periods of time. Available features in electronic muffs continue to expand. These HySkore muffs have a built-in FM radio with simple switches that allow the shooter to control the radio and microphone to suit the situation. The quality and effectiveness of plugs vary. High-density foam plugs that are large enough to expand and completely seal the ear canal work well and are easy to insert. The size and shape of ear canals vary so you need plugs large enough to completely fill the canal. You should feel some slight pressure on the walls of the ear canal when plugs are fully expanded. These earmuffs from Peltor are not electronic but do have a simple switch to control how much sound gets through. With the press of a button on the shell, you can reduce attenuation so you can listen to speech. Press the button again and full protection is restored. This saves taking the muffs on and with the reduced attenuation some protection is still in place in case someone fires nearby unexpectedly. Be cautious of some give-away plugs at ranges and gun shops. These plugs are understandably the cheapest available and you may end up with nothing more than a porous piece of foam bedding in your ear. Inserting foam plugs is easy but some folks still get it wrong and try to press the expanded plug into the ear. This causes them to flatten and not seal properly. Roll the plug between thumb and forefinger to compress it then insert in the ear and allow it ample time to expand before shooting. Online catalogs can be a good place to start your search for hearing protection even if you plan to purchase in a store. For example, Midway (www.midwayusa.com) not only lists NRR and other specs for different makes and models but features customer ratings and comments by people who have tried the products. The ability to read hands-on experiences can be invaluable in steering clear of inferior items and determining which products offer real value for money spent. A note of caution, do not rely on only one review but read several and make a reasoned determination as to which seem reliable. Pro Ears are one of many respected names in hearing protection. These Dimension 2 electronic muffs feature receiver input for external devices such as radios, CD players, and communication devices. A check of the Midway web site turns up a total of 120 different models of earmuffs ranging in price from about a sawbuck for a low-end set of standard muffs to almost $700.00 for high-tech electronics. A lot of manufacturers in the marketplace means a lot of competition so prices are coming down while features continue to be added. For example, Caldwell now offers a set of electronic muffs for about 40 bucks, sometimes less on sale. Granted, it is a very basic monophonic model but compared to the cost of electronic muffs just a few years ago it is encouraging news for the budget conscious. Other makes with more advanced features are also available at reasonable prices so there is no reason for anyone to risk their hearing for lack of good protection. Cost has always been the main factor for most as to whether electronic or standard muffs are purchased. No question, electronic muffs are preferred by most shooters but the high price tag has discouraged many. As mentioned, prices are coming down but it’s important to weigh quality against price. This can be tough to do with so many new brands appearing. Again, this is where the experiences and opinions of others, whether from friends, trusted store personnel, or online sources, can be invaluable. Walker’s Digital Game ear provides good hearing protection coupled with amplified hearing for hunting and is more comfortable and convenient than electronic muffs. A smaller ITC model is also available. Making a wise choice in electronic muffs can be further impeded due to the seeming reluctance of some manufacturers to list Noise Reduction Ratings for their electronic models. Many only tell you at what decibels the microphones shut off. For instance, they may say a particular model shuts out all sounds above 85 decibels. That’s fine but that is just the noise coming through the microphones. How much noise reaches your ears will depend on how much baffling the muffs have and how secure the seals are. In other words, it will depend on what the NRR is. Hearing protection is one of the most important purchases a shooter makes so take the time to research your options and do not sacrifice protection to save a few bucks. 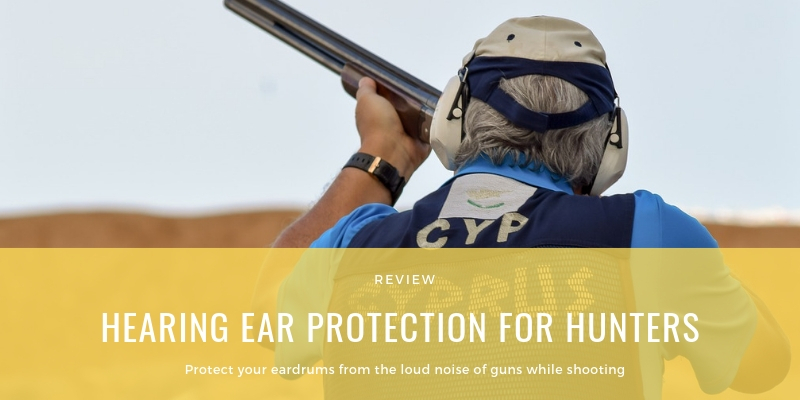 If you are hesitant to spend part of your shooting money on good hearing protection consider this, should your hearing be significantly damaged a good hearing aid can cost $3,000 or more. Most people with damaged hearing would pay many times that if they could have their hearing restored. You can’t. Hearing loss is permanent.